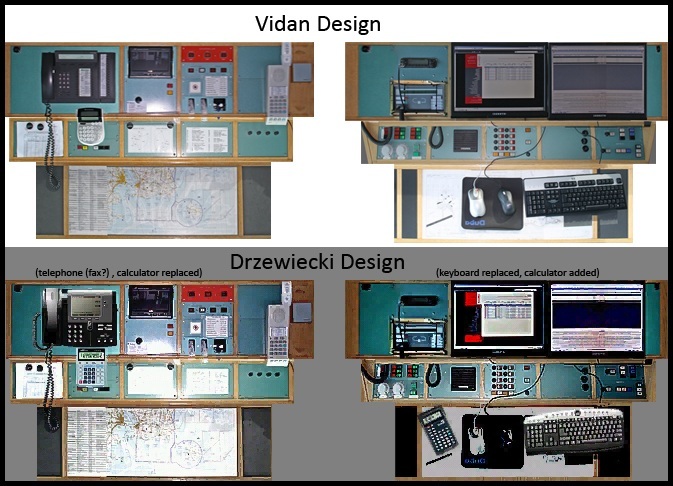 Aug. 2011: Stanislaw Drzewiecki of the small Polish developer team, "Drzewiecki Design", has made illegal use of Vidan Designs Bornholm Airport X textures and preview screenshots to make his Bornholm Island 2011 scenery. Here are some exampels. 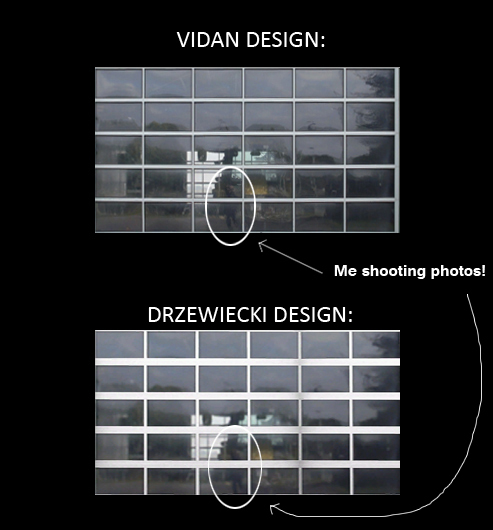 Some of the images has been resized and croppet in order to show the similarities between my textures and the ones used in Stanislaw Drzewieckis scenery. 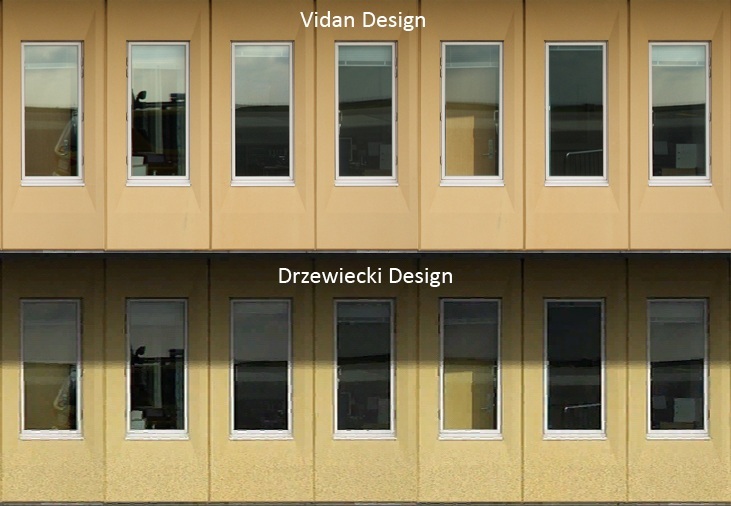 Stanislaw has modified some of my textures, among other things by adding dirt or shadows. 1. Remove my textures from his scenery and make an update available. 2. Remove all advertising material (screenshots and videos) where my textures were visibly. 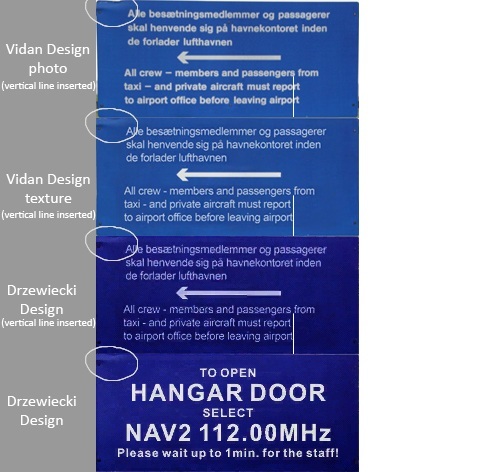 Unfortunately he did not completely comply with the second part of the agreement, as he still uses promotional material, that clearly shows textures from my Bornholm Airport X scenery. 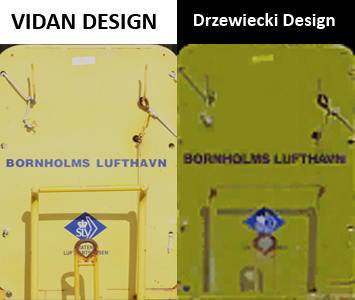 The textures used in my scenery are based on the photos that I personally took at Bornholm Airport.